It began as a dream in 2011: a dream of creating a Bikers’ Paradise that encompasses everything a traveling rider wants in one place. Over time, the dream grew into an idea, and finally, a project: MotoSoul – the home for motorbike enthusiasts. It began as a dream in 2011: to create a Bikers’ Paradise that encompasses everything a traveling rider wants in one place. Over time, the dream grew into an idea, and finally, a project: MotoSoul – the home for motorbike enthusiasts. In 2014, the project took shape as we found the perfect property in Saxony, Germany. 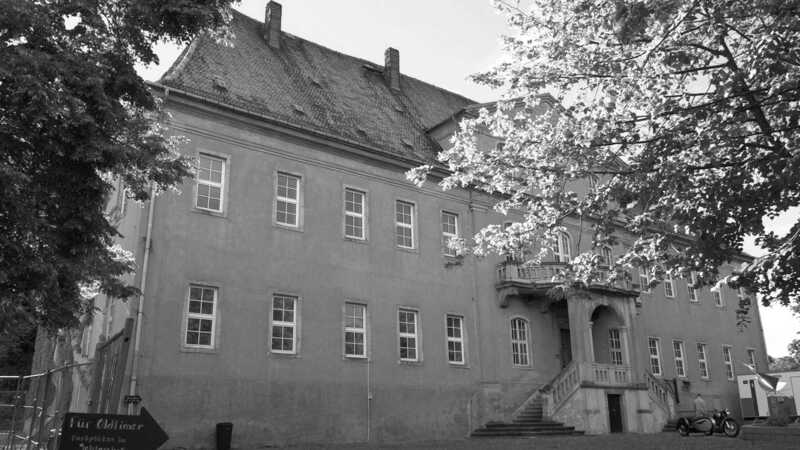 The planning phase began and the Mutzschen Castle was purchased in January of 2016. Only three months later, MotoSoul has opened its gates to guests for our events, sharing our dream and vision. In August 2017, the first phase, The Soul Kitchen restaurant, was complete and opened. 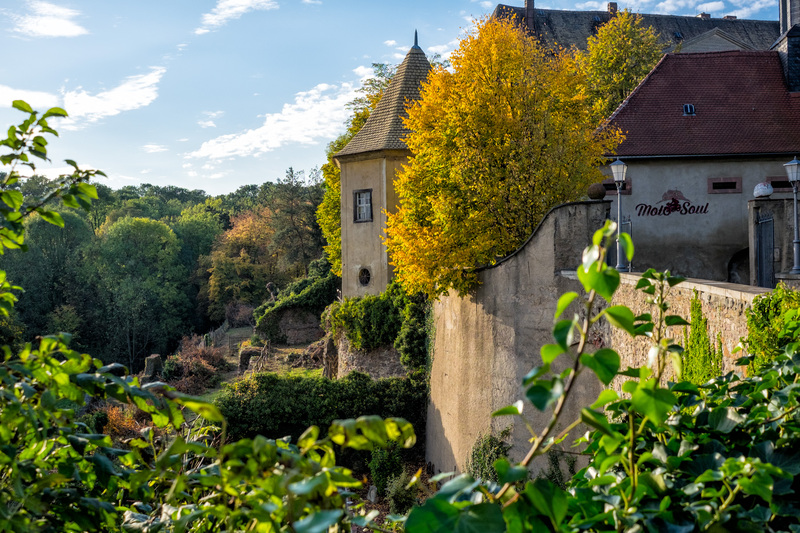 Mutzschen Castle with its unique history and romantic setting is the heart of MotoSoul. The city of Mutzschen, Germany is located just 28 miles (46 km) from Leipzig – the hippest, and fastest growing city in Europe. The city of Mutzschen, Germany is located just 28 miles (46 km) from Leipzig – the hippest, and fastest growing city in Europe. Spain to Sweden, England to Russia: all are accessible from this central European location. The Clock Tower building has been renovated and opened in August 2017 as the Soul Kitchen restaurant. Once the hotel and larger restaurant is open, the Clock Tower Building will be converted to apartment suites and holiday flats. The Hungerturm (prison/guard tower) will be a unique hotel suite with two levels including a kitchen and luxury bath. 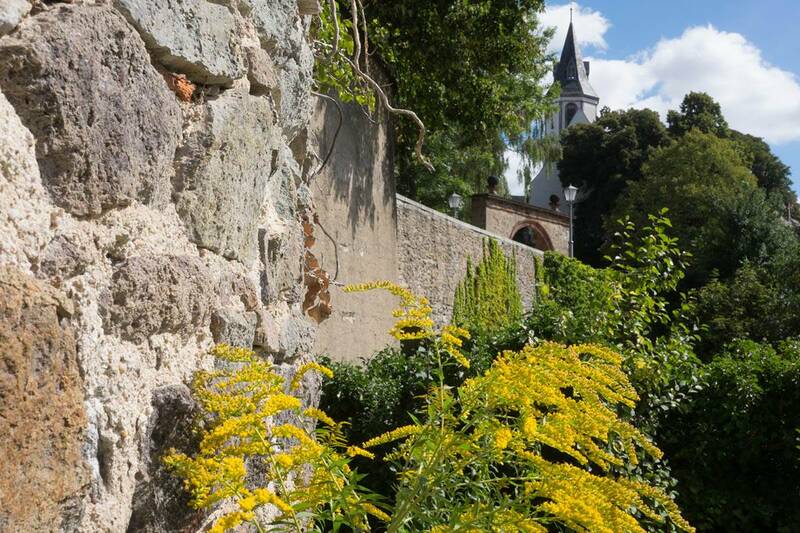 The Rittergut (farm manor) is just outside the castle gates. It was once used to house horses and workers, and will soon be the MotoSoul tour operations center. The Grotto is the only part of the original castle tower still standing. It is a unique stone building that will be used to host events. Its surrounding terrace overlooks the lake, lying directly under the rear of the castle: perfect for romantic campfires, concerts, weddings and more. The property has it’s own small lake that is surrounded by park grounds, walkways, gravel roads, and dotted with old, enchanting trees. In their shade, our Glamground and Campground areas will grow, and provide peace and serenity for our guests.